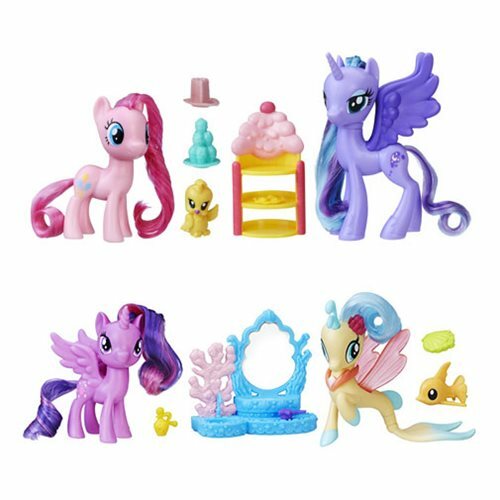 My Little Pony Friendship Pack Figures bring you friendship in every box! Your favorite citizens of Equestria team up in cool costumes with cooler accessories. Crowns, tiaras, stethoscopes, and dragons are just some of the extras you'll find in these awesome two-packs. Ages 3 and up.